The fresh, critical translation of the volume is now available. 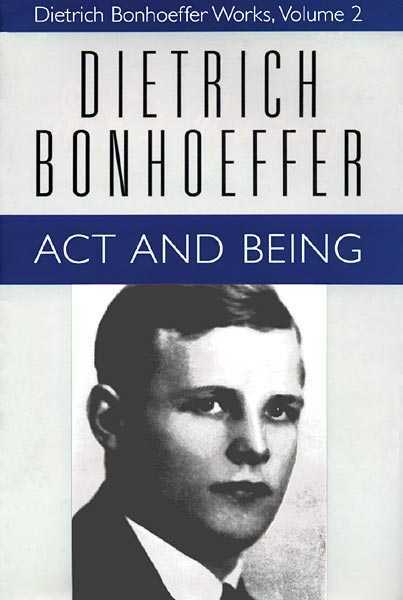 Act and Being, written in 1929-1930 as Bonhoeffer's second dissertation, deals with the questions of consciousness and conscience in theology from the perspective of the Reformation insight about the origin of human sinfulness in the "heart turned in upon itself and thus open neither to the revelation of God nor to the encounter with the neighbor." Here, therefore, we find Bonhoeffer's thoughts about power, revelation, otherness, theological method, and theological anthropology.